Lesley Pymm reports: What a fantistic turn out from Bournville for the Master’s Relays on Saturday. 7 complete teams finished for us, that has to be a record but I am sure we can improve on it for next time! The women started off at 10.30 with 3 teams entered in the W35 category running four stages and one W45 team doing three stages. It got warmer at about that time so I found the breeze oddly welcoming! It was a similar loop to other relays at 3 miles. We started at the usual place near Town Gate and went off downhill. Then we had the biggest climb of the day. No loops off, just straight up the hill. At the top we turned right to go the Jamboree Stone, then went past it and a little way out towards Streetly Gate before turning roung and coming back to the Jamboree Stone. For the women’s race, Taz was a very welcome sight there, complete with BvH flag. We then forked left, down towards Keepers Pool and then the uphill through the woods to turn right to the finish and push on uphill to shouts from the rest of the team and supporters. I was at a race on Sunday and a man there commented on the level of support that we had at the finish. Special mention has to go to Josh Hopkins who was a really good spotter and let everyone know when our runners were approaching so that everyone could get shouting! Linda Howell was (just) our fastest leg of the day doing it in 19.12, with the ever improving Laura Gale doing 19.14! Suz and Sarah made up our ‘A’ Team with very respectable times of 21.50 and 20.25 respectively. They came 11th overall out of 35 to complete. As ever, there were a number of incomplete teams. The W35 B team was 24th – with maybe the youngest runner there. Happy Birthday to Monica for earlier in the week, and what a treat – it meant that she could run in the Masters event! That team was Stacey Marston (24.05), Emily Holden (22.04), Nicola Morris (23.18) and Monica (22.48). Not that far behind was our W35 C team. In 29th place were Rachel Partridge (24.30), Lesley Pymm (28.42), Clare Mullin (24.16) and Emma Hopkins. Clare was also a relays virgin, so I hope that is the first of many runs both as a Master and in the Open relays. Our W45 team came in 20th out of 23 teams. This was Jude Glynn (23.57), Collette Greenhouse (22.34) and Phil Williamson (26.23). The M35 teams had 6 stages and again we were so well represented. Again we had great support from friends and family. Taz was there with his camera at the top of the hill. Brian Pearson was again shouting the teams on. Thanks so much to everyone for a fantastic day out with great running and great sportsmanship all round. 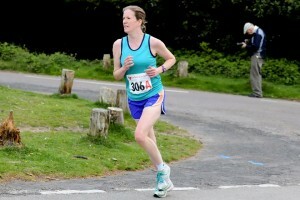 This entry was posted in Masters, Race Reports, Road Relays by Race Reports. Bookmark the permalink. Yes,a good turn out from Bournville Harriers (Men and Women) in the Masters Relays —- but as Lesley says,in her splendid article,we can improve on that next time.With appropriate and focussed preparation many of our runners can go even faster next year.eg 5k .park runs(swift!) and some hill reps in the weeks prior to the 3 mile Road Relays will enhance many peoples performances. Participation in the Road Relays,running for Team Teal,is a very special occasion —– And the success is enhanced by the presence of dedicated organizers,officials and supporters. All our Teams have the potential to improve on this year`s placings. If you havn`t run in the Road Relays yet,give it a go next time. Most people who run,thoroughly enjoy the occasion.It is open to all ages and abilities. ← Previous Previous post: Make your Teal Target Count!